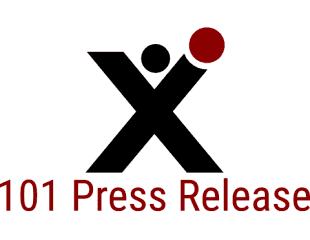 101 Press Release (101PressRelease.com) is a Newswire dissemination service which distributes press releases on behalf of our clients. If you submit a press release for distribution through our network, your press release will be transmitted in its entirety. This will include any personal information that is contained in your media contact information. When you submit your press release through our system you agree with our policy and understand that your contact information will be disseminated. Users may not derive any rights from information published on this website. 101 Press Release (101PressRelease.com) cannot guarantee that the website will operate without error or interruption at all times. 101 Press Release (101PressRelease.com) does not accept any liability for the contents and use of this website, for any information published on it or for any damage or losses resulting from its use. 101 Press Release (101PressRelease.com) does not accept any liability for the contents of websites referred to on this website or that refer to the 101 Press Release (101PressRelease.com) website. All press release information on this site, is solely based on what our users or partners submit. 101 Press Release (101PressRelease.com) disclaims that any right and,is solely based on what our users submit. 101 Press Release (101PressRelease.com) disclaims that any right and responsibility for the information go to the user who submit the press release. Some press release may be confusing without additional explanation. You should contact the provider with any questions about the information presented. In case some press release demages your benefits or violate your rights in any way, please contact us and we'll remove it immediately. You can use our content but you must link back to the active original press release on www.101PressRelease.com. The copyright is owned by the author of the press release. Users of the information published on this website are responsible for the information they select and the way they use it. Information published on this website is intended purely for visitors' own use. We will not accept press releases that are not single spaced, that do not use paragraphs to appropriately break up the body text, or that provide bulleted or numbered lists that are not formatted correctly. We do not accept press releases that have extremely the same topic body and active link more than once. We do not accept links to adult-oriented websites. Preview your press release first and submit your press release for review or publishing. Remember to always include: Who, What, Where, When, Why and How in all the press releases. If you answer these basic questions, your press release will provide all the information that the reader will need. All way's include your company and contact details.